Data from The Bridge Group, a sales development consultancy, shows that sales conversations are down by almost 1/3rd over the last couple of years. While they’re unwilling to give a cause for the decline, they do note that it is significant, as their data shows that the number of reps hitting quota has correlated to the decrease in conversations. I was aware of the statistic, but it struck me again yesterday when I came across this blog post that highlighted a potential cause for the decrease in conversations. The post suggests that sales reps are being increasingly bogged down by administrative tasks and therefore, sales conversations are down. While I think that is certainly a contributor to the problem, I think it misses the bigger reason. Customers have fundamentally changed the way they engage with sellers and how they buy, and very few selling organizations are keeping pace. I agree that sales reps are certainly being bogged down with administrative tasks that reduce sales time (and organizations should certainly being doing everything they can do eliminate that disruption). I also believe it is likely a small contributor to the overall problem. The trend of the Bridge Group data indicates that this issue is structural, not situational. 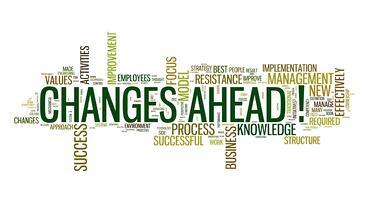 The bigger question is: What changes are you making in your marketing and sales approach to compensate for this change? In 2011, the Corporate Executive Board released research that showed the typical B2B customer was 57% through their purchase decision before their first contact with a supplier. In 2013, that number increased to 65% (nearly 2/3rd). Since then, several other research organizations have conducted similar research and the number seems to have settled somewhere between 65% and 90% of the journey is completed before your salespeople are welcomed. Not surprisingly, this research has been greeted by the traditional sales world with skepticism, born out of necessity. I say this because when you realize the implications of such a switch on the fundamentals of B2B sales, that’s not very exciting to many people. Before we get ahead of ourselves, let me remind that you many marketers have overreacted the other way and have used the data to claim that this is the beginning of the end of the B2B sales force. Nothing could be further from the truth. The sales team is still crucial to success. However the nature of how they do their job, and more importantly how your company goes to market, has fundamentally changed, and if you don’t get ahead of the change, well, good luck. I’ve written about the ZMOT many times. I certainly don’t want to retread all of the observations here, so the essence is that while in the past customers and prospects needed to engage with salespeople to learn about products, services and solutions, today they do not. Customers and prospects are becoming increasingly comfortable not engaging and managing more of the process themselves. The data from the Bridge Group and others clearly supports this. Ensure that your sales and marketing efforts are creating value, instead of just communicating it. The very first article I wrote to launch this company was about the need for salespeople to create value in the sales process. Where 11 years ago this was a way for salespeople to excel, today it’s table stakes. Would your prospect/customer be willing to pay for a sales call or to access your marketing communications material? If you’re answer isn’t a clear “yes” then get to work – fast – on fixing that. On a side note, one of the dominant reasons that customers are so motivated to manage the process on their own is because so few salespeople actually create value in the process. Had we been creating value from the start, we wouldn’t be in this mess. Realize that marketing is taking on increased responsibility for selling. As your prospects and customers become increasingly comfortable navigating the process on their own, you must adapt and increase the content you have out there influencing them while they’re researching and assessing options. As prospects review more and more content online, you need to ensure that your content is at the top of the pile. And that means that the marketing side of your go-to-market process must take on more responsibility for selling. Increasingly the difference between fast growth organizations and those muddled increasingly in stagnation lays in the lead management process the organization uses to connect lead generation with sales efforts. There are five key components to an effective lead management process, and by focusing on these you’ll gain significant leverage in both marketing and sales. While the data we’re seeing certainly demonstrates just how much more difficult and complex successful sales growth is today, evolving your approach will keep you ahead of the curve…and your competition.